In an excerpt from his new book Republican Gomorrah, Max Blumenthal examines the radical beliefs about witchcraft and the “serpent seed” that propelled Sarah Palin into politics. Prior to her nomination for vice president, Gov. Sarah Palin listed her home phone number in Alaska’s Yellow Pages. She was known to spend hours in her local Wal-mart chatting with constituents. When I traveled to Alaska’s Mat-Su Valley, nearly every politically active resident I spoke to had met the governor on at least one occasion. But many of Palin’s acquaintances, admirers and critics alike, described her in a dramatically different light from that in which she presented herself to the American public. To those who knew Palin, she was no ordinary hockey mom, but rather an evangelical foot soldier who spearheaded the [conservative Christian] movement’s takeover of local government. Her power base was the Wasilla Assembly of God, a Pentecostal mega-church where she was baptized and spent over 20 years as a member. Sarah Palin was one of the ﬁrst members of Glazier’s spiritual warfare prayer circle in Wasilla. According to Glazier, while Palin prayed with her during the early 1990s, “God began to speak to [her] about entering politics.” With Glazier’s encouragement, Palin joined other members of the Wasilla Assembly of God in a takeover of Wasilla’s government. In 1994, Palin won election to the Wasilla City Council and the local hospital board, a victory that resulted in the ousting of her mother-in-law, Faye Palin. During the ﬁrst meeting of the new Dominionist-dominated hospital board, Palin and her allies passed a resolution (later overturned by the state Supreme Court) banning abortion in all circumstances, including when the life of the mother was in mortal danger. While Palin served on the Wasilla City Council, a Democrat named Nick Carney befriended her and showed her the ropes. However, when Palin announced her 1996 bid for mayor against Carney, she launched a vicious campaign against her former friend, spewing character attacks utterly foreign to the Mayberry Junction-like atmosphere of Wasilla. “I watched that campaign unfold, bringing a level of slime our community hadn’t seen until then,” recalled Phil Munger, a local music teacher. According to the film, Muthee organized several weeks of imprecatory prayer against Mama Jane. He led his followers in “spiritual mapping,” a technique popularized at Rev. Ted Haggard’s World Prayer Center that consists of praying around buildings and city blocks occupied by demonic spirits. While cries for Mama Jane’s stoning intensiﬁed, the local police arrested the evil witch and ordered her never to return to Kiambu. Almost overnight, a golden era of Christian morality descended on the town, churches sprouted in suddenly vacant bars, and criminal activity evaporated like magic. Or so the story goes. Partly inspired by Muthee’s tall tales, Palin initiated her own spiritual battle in Wasilla. Her target was the Rev. Howard Bess, a local Baptist pastor who had opened the doors of his church to openly gay Christians. Bess, an affable 80-year-old born-again evangelical, had sought refuge in the Mat-Su Valley after infuriating church ofﬁcials in Anchorage and Santa Barbara, California, with his advocacy for gay rights, which culminated with the publication of his 1995 book, Pastor, I Am Gay. Palin’s allies from Wasilla Assembly of God crusaded to ban the book throughout the valley, ensuring that no bookstore—including the national chain Waldenbooks—dared carry it. Palin personally visited the Wasilla public library twice to request that the librarian remove Bess’s book from her shelves. While Palin barnstormed the country as a vice-presidential candidate in late September, Muthee returned to the Mat-Su Valley to address a group from the Wasilla Assembly of God. The Kenyan preacher explained the current relevance of Queen Esther, a Jewish beauty queen who married the king of Assyria and then used her seductive wiles to persuade him to save her people from the evil Haman. The resonance was clear: Palin, the former beauty pageant contestant who had chosen Esther as her biblical role model when she ﬁrst entered politics, would topple the secular tyrants to lead her people, the true Christians, into the kingdom. We come against that python spirit. We come against that spirit of witchcraft as the body of Christ. Right now in the name of Jesus! Ooooh-raba-saka-ta-la. Come on, pray, pray! Raba-sandalalala- bebebebekalabebe. Shanda-la-bebebeka-lelebebe. . . . That’s why we come against all forms of witchcraft. All the python spirits that are released against the body of Christ . . . and bring this nation into the Kingdom. 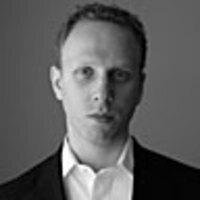 Max Blumenthal is a senior writer for The Daily Beast and writing fellow at The Nation Institute, whose book, Republican Gomorrah (Basic/Nation Books), is forthcoming in Fall 2009. Contact him at [email protected].